Inside the warden's office, there's a wall that doesn't appear to be destructible—but take it down with explosive gel and you access a hidden room that's filled with goodies to related the upcoming sequel Batman: Arkham City. 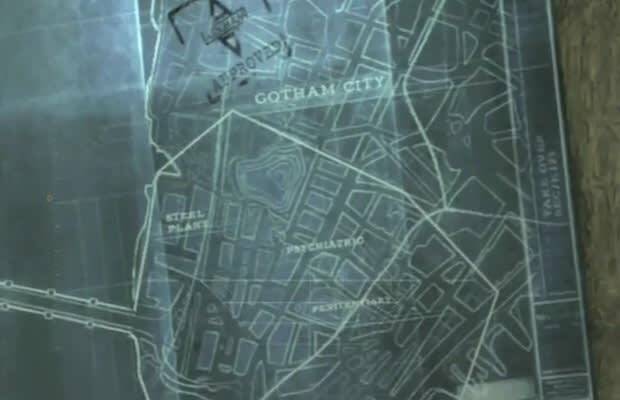 There's a map of "Gotham City" that's been stamped "Arkham-Approved," as well as what appears to be concept art that actually shows up in the Arkham City teaser trailer. Speculation says this room was added during a game patch, but we like to think that it's all just another Scarecrow mindfuck.